Have you ever watched more than three episodes of the same show in a day? If so, then you can officially call yourself a ‘binge-watcher’. Congratulations, you’ve joined an ever-growing club. A TiVo survey in 2015 revealed that 92% of those questioned had also binge-watched three or more episodes in one day. Why do we do it? Well, in the past we didn’t have access to shows the way we do now. We don’t have to eagerly wait a week for each new episode as networks release an entire series at once. Even when some series are released a little more slowly, people still wait for all the episodes to come out and then watch them in one go! Therefore, we binge-watch because we can, but is there anything more psychological going on? TV time is a feel-good experience and many studies over the previous decades have showed this time and again. 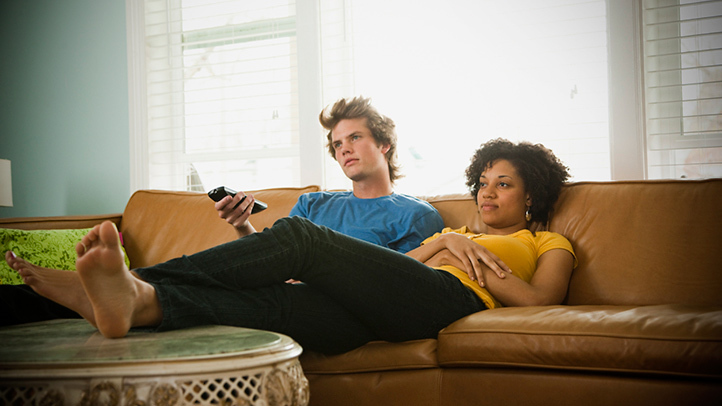 People watching TV relax faster, but that relaxation disappears as soon as the TV is switched off. That’s what makes it so darn tempting to watch another episode, and then another! The tricks of the trade keep us glued to the screen. The way a show is cut, edited and filled with zooms, music and sudden loud sounds keeps our attention firmly focused on the action. The best directors know how to grab attention and hold it, raise your expectations and manipulate your mood. These clever techniques are geared to make you hooked. For people with stressful lives or those who are bored, it’s very tempting to lose yourself in a fictional show that’s totally absorbing and engaging. It allows people to forget about the everyday niggles and worries. It can prove to be a form of comfort for many. There also isn’t the same level of stigma or shame attached to binge-watching TV as there once was. We all know that too much prolonged sitting in front of a screen is not great for us physically. We know we should be out getting exercise or socialising with other humans for example. It seems many of us just don’t care. In 2013, over 50% had a negative view of binge-watching. By 2015, that figure had reduced to just 30%. Another survey revealed that over 73% felt no regret about their binge-watching and said it made them feel good. Watching TV has always been a favourite past-time in the industrialised world. We spend more time watching TV than any other activity aside from working and sleeping. And it doesn’t look set to change, even with changes in technology. TV watching via the internet grew by almost 400% in just one year. Isn’t it nice to have a Carvery?